Huntington Capital Fund II, LP (“Huntington”), a San Diego based lower-middle market focused private equity mezzanine fund, is pleased to announce its investment in Altrec.com, a leading outdoor gear and clothing e-commerce company. The investment was structured to provide growth capital for the company’s e-commerce initiatives. Altrec.com is a high-growth internet retailer. Its two primary sites include: the online store, Altrec.com, and the media site, GreatOutdoors.com. Altrec.com specializes in the sale of premium outdoor gear and clothing for active sports such as skiing, snowboarding, running, climbing, camping, kayaking, hiking, mountaineering and other outdoor adventures. The company’s focus on providing exceptional online service, product selection, and information has driven its success. With a vision of engaging and equipping more individuals in the active outdoor lifestyle, the company hopes to inspire others toward both a better quality of life and stewardship of the outdoors. 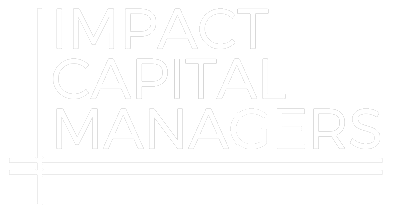 “The partnership with Huntington Capital is an ideal fit. We were impressed with both their team and their flexibility in crafting a custom financial structure. This investment exceeded our expectations and enables us to appropriately capitalize the company for opportunistic growth,” said Mike Morford, Altrec.com’s Founder & CEO. Founded in 1998 and based in Central Oregon, Altrec.com is a leading ecommerce destination website for outdoor enthusiasts. The company offers thousands of outdoor gear and clothing products from more than 200 performance brands such as Patagonia, The North Face, Arc’Teryx, Columbia, Mountain Hardwear, Keen, and Oakley. Altrec.com operates multiple websites including its primary website, Altrec.com, along with other destination sites such as greatoutdoors.com, jimwhittaker.com, and planetoutdoors.com. Featured sports include skiing, snowboarding, hiking, climbing, conditioning, adventure travel, and paddling.